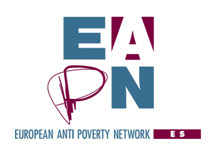 EAPN Spain President Carlos Susías will be chairing a conference on 28 April on the occasion of the New Society Forum (“Foro de Nueva Sociedad”). The New Society Forum was founded in 2000 by his current President, José Luis Rodríguez Garcia. Since then, it has become one of the most important spaces of economic, social and political discussion in Spain. Moreover, it is major reference for policy makers, economists, entrepreneurs, diplomats and media all over the country. EAPN Spain President Carlos Susías will be chairing a conference on 28 April on the occasion of the New Society Forum (“Foro de Nueva Sociedad”). The New Society Forum was founded in 2000 by his current President, José Luis Rodríguez Garcia. Since then, it has become one of the most important spaces of economic, social and political discussion in Spain. Moreover, it is major reference for policy makers, economists, entrepreneurs, diplomats and media all over the country. More info here.